سواءً كنت مسافراً بغرض السياحة أو العمل, Econo Lodge City Square هو خيار عظيم للإقامة خلال زيارتك ملبورن. لا يبعد الفندق كثيراً عن مركز المدينة، فهو يقع على بعد 0 Km منها. في حين يستغرق الطريق منها إلى المطار حوالي 30 دقيقة. بالنسبة لمن يريد الخروج، هذه بعض المعالم السياحية المتوفرة للزوار City Square, مبنى نيكولاس, Chocolate Secret. استمتع بالخدمات الراقية والضيافة التي لا مثيل لها بهذا الفندق في ملبورن. إن خدمة التنظيف يوميًا, مجهز لذوي الإحتياجات الخاصة, مرافق مخصصة لذوي الاحتياجات الخاصة, تخزين الأمتعة, واي فاي في المناطق العامة هي جزء فقط من الخدمات التي تميز Econo Lodge City Square عن باقي الفنادق في المدينة. تتضمن كل غرف النزلاء وسائل الراحة والتسلية المصممة خصيصاً لضمان الراحة القصوى للضيوف. كما أن مجموعة الخدمات الواسعة الموجودة في الفندق لضمان راحتك تترك لك الكثير من الخيارات لقضاء وقتك أثناء فترة إقامتك. إن Econo Lodge City Square هو خيارك لخدمة الفنادق الراقية في ملبورن. مكتب الإستقبال مفتوح من 08:00 صباحاً إلى 10:00 مساءً خلال أيام الأسبوع ومن 08:00 صباحاً إلى 06:00 مساءً خلال عطلة نهاية الأسبوع. الضيوف الذين سيصلون خارج هذا الوقت يطلب منهم التواصل مع العقار مباشرة قبل موعد الوصول لترتيب هذا الأمر. وديعة أمان على البطاقة الإئتمانية بقيمة 250 AUD مطلوبة عند تسجيل الدخول كمبلغ تأمين للأجور أو الأضرار خلال الإقامة و سيتم إسترجاعها عند المغادرة. 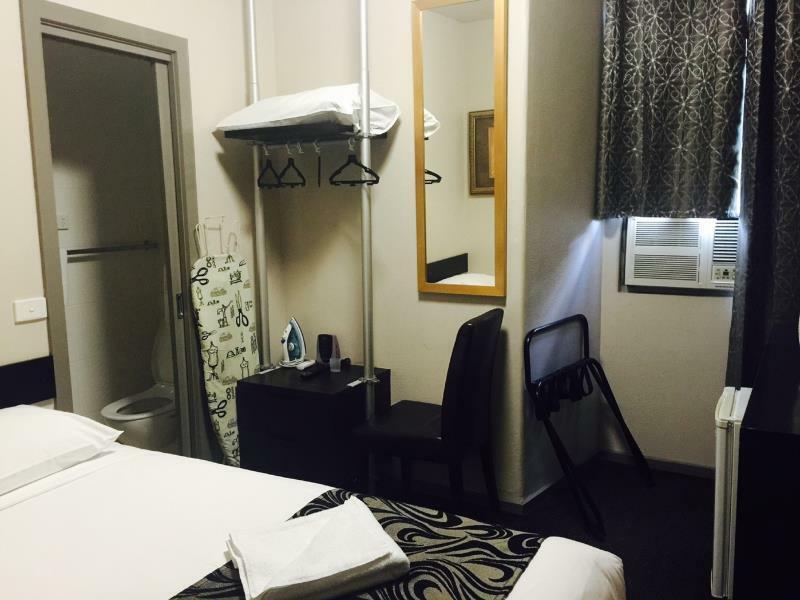 Basic accommodation, in the heart of the cbd. Really liked the location of the hotel as close to all the things that needed to get to on my one day stay.... Damn close to wonderful cafes running parallel to Swanston street and the street art lanes off little collins were a great way to spend an hour taking photo's... Recommend this for a easy to stay place in the middle of Melbourne that is close to food, trams, trains and great cafes.. This motel same row with convenient store, halal restaurant, atm. It was easy access place. The hotel person also nice and helpful. I would definitely come over again to this motel for stay if visit Melbourne. The hotel was very central and easy to get to all the main attractions. A little noise from outside at times but this is to be expected when staying in the centre of a city. 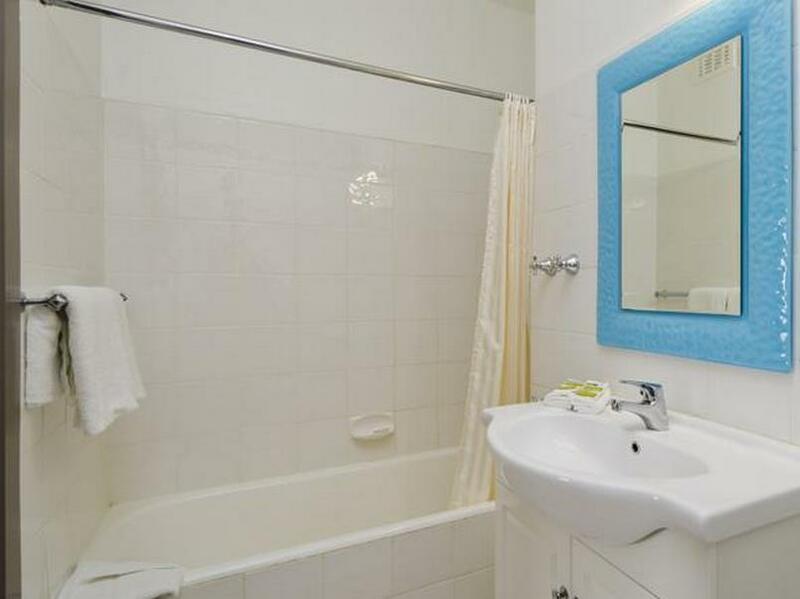 The room was cleaned daily and given fresh towels daily. The staff were really helpful. Reception isn't open 24hrs but this didn't matter. The room had everything is said it would have. Bed was comfortable and the room had air conditioning. Would recommend to friends. Room is clean and location is good. 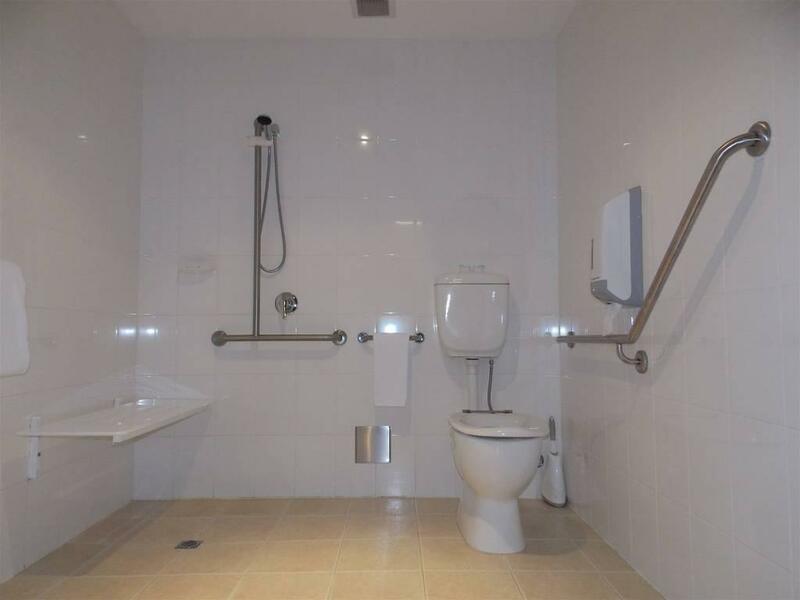 Very accessible with plenty to eat nearby. Overall, a happy stay. Do note that if you ask for a 3 pax room, one of the beds is converted from the sofa (sofa bed) which tends not to be as comfortable as a normal bed, but we are still ok with it. Very good location in City Centre. Convenient to catch trams and trains. The room is a bit small, but still fine considering it's a motel in downtown. Not so much service, but they can book the skybus shuttle bus service for you. Melbourne's best kept secret, at 67 Swanston Street, is the hotel closest to Flinders St Railway Station, Southbank, theatres, and is a short walk from wonderful restaurants in Degraves St and Hardware Lane. 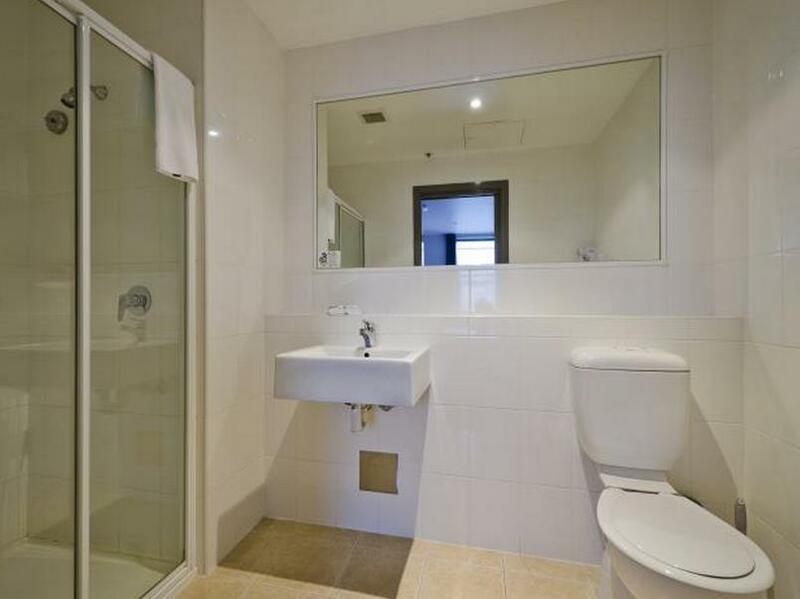 The bedrooms are large and comfortable, and the ensuite bathrooms have been recently renovated. The reception staff were friendly and helpful with useful information. Rates cheaper than advertised can be obtained by contacting the hotel directly. I only stayed 1 night, but it was very comfortable and rather quiet for a City Centre hotel. TV and fridge are a must. With a comfortable bed too. Lots of Restaurants and things to see and do close by. The front counter lady is wonderful, easy to talk to, and very helpful. Definitely stay here again during my next visit to the city. Your website is very ambiguous, it is not even a hotel at all. The corridor was extremely dim when we reach the hotel. I am extremely disappointed and checked out the day after even though I have made my bookings for till the 5th day. I was extremely dissapointed at the state of my room. The aircon was still warn despite leaving it on for the whole night and the staff insisted that the aircon was functioning well. I will strongly not recommend anyone to stay in this hotel. I'm also arranging to get a refund back from Agoda. My family and i stayed here during the Australian open tennis tournament. Room looked a bit old and would welcome a renovation. The sofa bed was uncomfortable, springy, and right beside the bathroom. The hotel is in a good location - near the tram station (about 5-10min walk), and lots of stores and restaurants nearby (none in the hotel). The airport shutte/ tour bus is not allowed to drop off passengers in front of the hotel though, so you'd have to meet them around the corner (5-7min walk with luggage). Staff was very nice. What I like about this hotel is the location that is in the CBD area. Just by walking I can reach the hotel from Southern Cross Terminal. There are a lot of busking performances not to be missed in Swanstons street. Cleanliness is something that should be improved from this hotel. I found two nuts inside and below the cupboard never properly cleaned by the cleaning staffs. I was in Melbourne for a conference and spent a few more days touring hence I chose this hotel for its price and central location (near the university where the conference was held as well as the accessibility to sightseeing spots). However, the room was really small and kinda old and I felt that I was staying in an attic or something. The bathroom was also small and the door was too close to the toilet bowl, that I had to take care not to bump my head on the door. This hotel provided breakfast but it was only two pieces of toast with butter and jam (they placed them inside the small refrigerator inside the room). Instant coffee and tea were available. My only consolation was that the hotel was very near the station as well as to central tourist spots and to nice restaurants and shopping places. Clean, Cheap, Everything you need. Enjoyed my stay at the Econo Lodge. The staff were very friendly and checked me in early, which was great because I badly needed a sleep after flying through the middle of the night! Hotel room had everything that I needed inc. Fridge, basic kitchen appliances, TV and a safe in reception. The bathroom towels were changed daily and house keeping would also leave 2 slices of bread when making your bed each morning. I never ate it, to many good places to eat in Melbourne to fill up on plain bread! Reception closes at 10pm most nights, but they will give you a code to open the door so you can come in and out at any time you want. 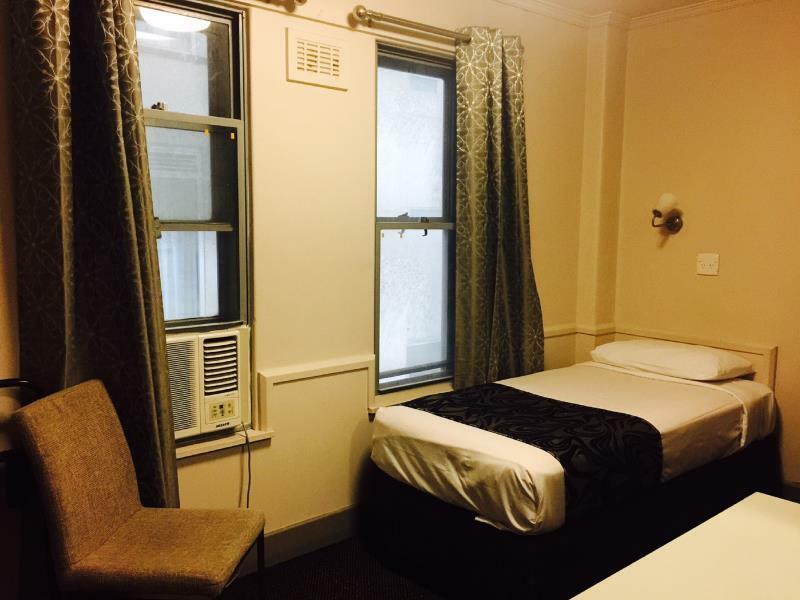 I would recommend this hotel to anyone who is traveling to Melbourne on a bit of a budget. The entrance to the Econolodge can easily be missed as its just a slim doorway on Swanston Street (Melbourne's main road). The hotel staff were really nice and check-in/check-out was a breeze. The room was a little musty and dank and there wasn't much ventilation. As I went during summer, every night I got back to the hotel I had to turn on the air con for about 10 minutes just to get the air flow in the room going. If you are in Melb for sightseeing, shopping I would definitely recommend this hotel due to its central location to shops, Flinders Street station and Yarra River. location on swanston street was brilliant. staff very helpful. ok, so the room was tiny but it was fine. all you want is a nice, clean room to sleep in. that's exactly what i got. air con was old but worked. bathroom was spotless. location meant you could walk most places. I was early for check-in but the registration clerk was kind enough to personally check and give me my room just before 12 noon. Don't be swayed by "breakfast provided" - it's no more than 2 pieces of white bread in the fridge with a slab of butter and jam (toaster oven provided). What disappointed most was wifi access. Clerk said wifi was not provided if booking. When I mentioned that the website said so, I was given free wifi for 45 minutes for the 3 days I stayed. Hotel frontdesk was closed on Sunday so could not get any assistance.